Gets the red out! 10 hours of comfort! Protects and soothes irritated eyes! Fast acting! These are the promises made by over-the-counter (OTC) red eye relief products like Visine, Clear Eyes, and Murine. They advertise themselves as the solution to your red eye problems. Some of you are believers and keep your Visine close at all times. A few years ago, I started using Visine/Clear Eyes/Opcon A to treat minor eye redness. I did not realize the harmful effects that these products had on your eyes, and I used them regularly for about 2-3 years. Now I am suffering from rebound hyperemia, or rebound effect. My eyes are bloodshot all the time unless I use these drops. Almost a month ago I stopped using the redness reliever drops cold turkey. Today, my eyes look a little better, but there are still red veins in my eyes. The red veins are still visible, but are not as red as they used to be. Is there any way to get rid of them completely? Or is there any way to get treatment to help my eyes return to the way they were before I started using these drops? Bryan is suffering the effects of overusing OTC red eye relief drops. His experience is not unique, as we see patients coming into our office with similar problems. The warning labels for these products include that overuse can cause more eye redness, but that warning is often overlooked. Visine and similar drops contain drugs called vasoconstrictors, which work by shrinking the red blood vessels in the white part of the eye. The smaller the blood vessels, the less red your eyes will appear. Look on the ingredients list and you will often recognize these drugs as terahydrozoline or naphazoline. You may look and feel on top of the world for a little while after using these drops, but frequent use is unsafe and can lead to more serious problems. Your eye’s blood vessels help transport oxygen and important nutrients throughout the structures of your eye. Constantly shrinking these vessels means your eyes do not get all the oxygen or nutrients it needs, thus compromising your eye health. Vasoconstrictors temporarily reduce the size of the blood vessels in your eye. After the drug wears off, your blood vessels will revert back to their original size. However, after prolonged use those blood vessels can permanently enlarge, causing your red eye to look even worse. This is called rebound hyperemia, or rebound effect. Your eyes can become addicted to these drops. It is a vicious cycle of using your drops, worsening your red eye symptoms, and repeat. “Eye Whitening Eye Drops”–Are They Safe to Use? By Brian Boxer Wachler, M.D. An eye exam with Dr. Ashcraft is necessary to identify the source of the problem and appropriate treatment. Treatment options and recovery times will depend on the severity of your symptoms and how long you used the drops. For mild cases, artificial tears and prescription drops can aid in recovery time. 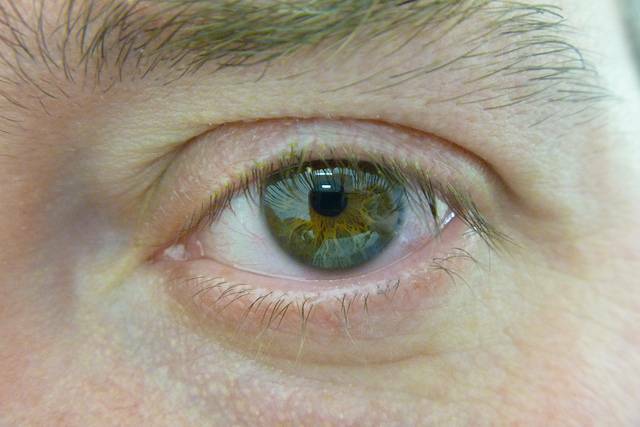 For more severe circumstances, ocular steroids and other medical therapies may be an option. So, what now? Your first step is to stop using the drops today. Throw them away! Your eyes will be red and uncomfortable, but you can place cool compresses over them to provide some relief. Next, call our office to schedule an appointment with Dr. Ashcraft. Save yourself time, money, and frustration by getting the proper treatment you need sooner rather than later. Your eyes will thank you! Top image by Flickr user Pete used under Creative Commons Attribution-Sharealike 4.0 license. Image cropped from original.